For years, Business Improv’s innovative corporate training programs have helped professionals improve their communication, leadership, management, and team building skills. To learn more about our training, the positive effect our classes have had on our graduates, and how we can help your organization, we invite you to read the articles below. Our very own Bob Kulhan helps explain the concept of “Yes, And” and how this simple listening skill can help you become a better leader. What do you think of when you hear the word “Improv”? Got it? Now, watch this video to see how we define ‘improv’ and how improv skills can help you in the workplace. 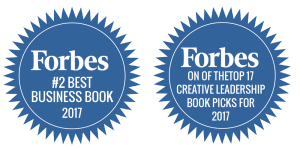 GETTING TO “YES, AND” tops the Forbes.com best books list! 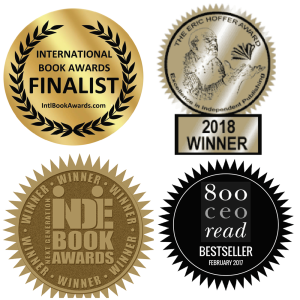 Getting to “Yes And” has been recognized by BookAuthority in three categories. http://businessimprov.com/wp-content/uploads/2018/02/How-to-Prepare-and-Give-a-Speech.mp3 When you know your work, and your craft, share it with everyone. Let other people know about you and what you do. In this episode, Bob Kulhan shares how to prepare and give a speech that people will remember. Bob is the Founder, President and CEO of Business Improv, a world-class leader in creating experiential training and development programs for corporations of all scopes and sizes. http://businessimprov.com/wp-content/uploads/2017/12/Twelve-Minute-Convos_Audio-File-PUBLISHED-12_08_17.mp3 Bob Kulhan is President, CEO, and Founder of Business Improv, an innovative consultancy that specializes in experiential learning and serves an international roster of blue-chip firms. He is also an Adjunct Professor at Duke University’s Fuqua School of Business and Columbia Business School. In this episode, Jeff interviews Bob Kulhan, founder of Business Improv. Together, they discuss how improv can have huge benefits on everyday life, and how it helps spark creativity. “The overt problem: Naming a new software product that will consume half of our company’s resources over the next two years. A big investment, and worthy of considerable thought to communicate the quality and usefulness of this product!